The Hercules Soprano Saxophone Stand offers a stable and reliable rest for your instrument. The SFF coated bell protects your instrument's finish and evenly distributes the support. 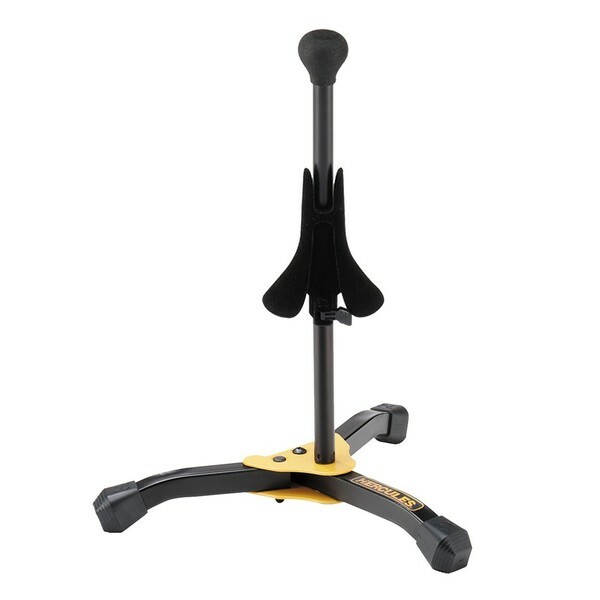 The stand's tripod base has sturdiness on all surfaces, whilst the additional rubber foot caps increase grip. This model can be folded into a compact shape and comes with a carrying bag for easy portability.